I am not ready for this adventure to end, but my job is expecting me back on Monday. 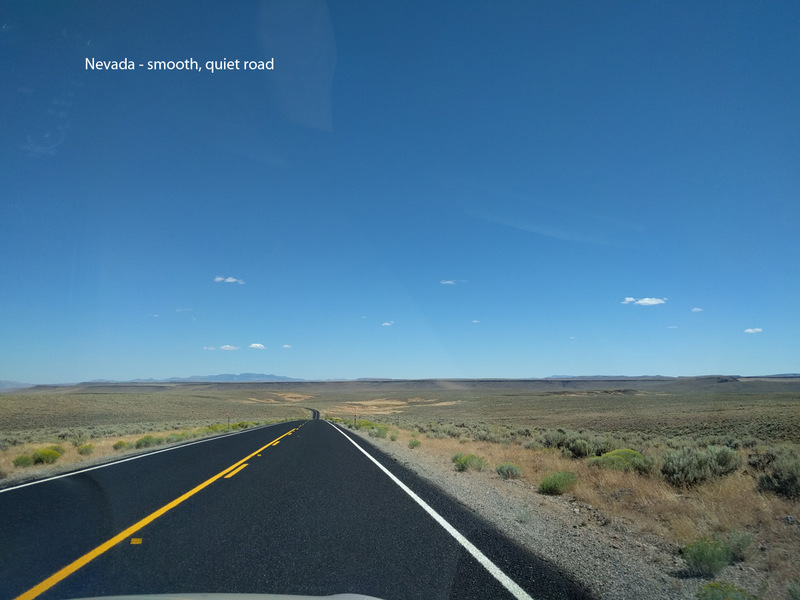 In the beginning, I was wondering if seven weeks on the road would be too long and too exhausting, but seven weeks isn’t enough time to see and do everything. I have felt rushed in these final few weeks, and especially these last days in Chicago. 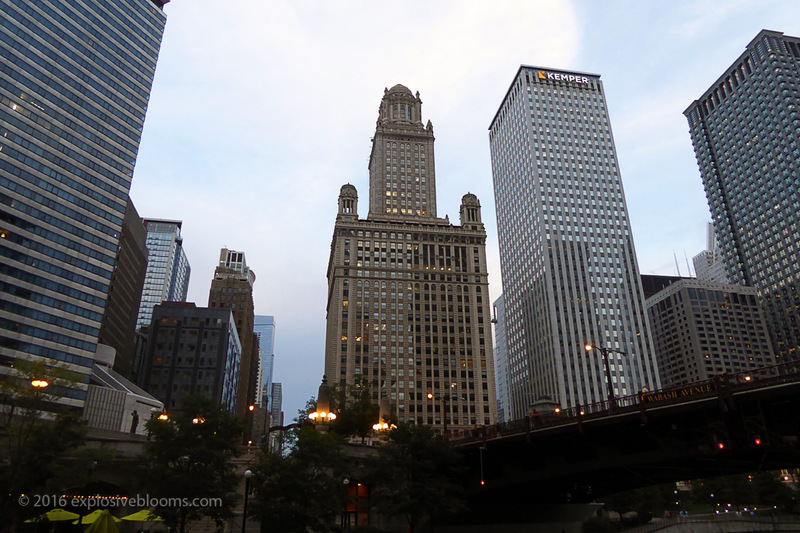 Chicago is so alive with a fascinating architectural history. The infrastructure is also interesting and there are ideas that could be considered for improving Toronto. The “El” train is above ground, and requires eyesore bridges (tracks) to be built, but the train moves thousands of people every day. One street is actually three levels, with the top level being street level, lined with many businesses. This street level is where the cars and people would enter the buildings from. The level below is for thru traffic and delivery trucks, and the lowest level (river level) is for service vehicles. When you think about it, this makes a lot of sense in terms of alleviating traffic congestion. At the same time, this type of infrastructure is not aesthetically pleasing; however, the city is working at covering up the lower levels by allowing shack-style shops to be erected along the riverwalk (riverfront pathway). Benches and other types of inviting seating is available and shaded by trees. Part of this stretch is lined with tourist activities such as the docks for the boat tours, water taxis, kayak tours, and bicycle rentals. There are little shack cafes and restaurants occupying the riverwalk. We stopped in Elko, Nevada for the night and ended up at having dinner at the Star Hotel. There are not a lot of quality dining options, and this was the top rated place on Trip Advisor. It was a strange meal. We had the Basque Dinner and their famous Picon Punch. I’m not sure if the owners have ever been to the Basque region, as the plates that piled out seemed like just a mish-mash of bulk-ordered things. On top of that, we each ordered a main (I had chicken, hubs had steak). Neither of us could get through the punch as it was way too strong. Being in Elko on this night (August 11) turned out to be lucky timing as the perseid meteor shower was set to take place. Had we been back home, it wouldn’t have been visible. After dinner, we drove around looking for a dark place, which took a few tries, but we finally ended up off a main highway. It felt like we were in a crater as we were surrounded by higher ridges, blocking out most of the city lights. This would have been a perfect time to have a convertible, but we shifted around in our seats and even poked our heads out of the moon roof, and we were rewarded with the most spectacular star show. Some of the shooting stars felt so close! I honestly could have stayed there all night, but it was getting late (past midnight) and we needed to get ready for the next day. 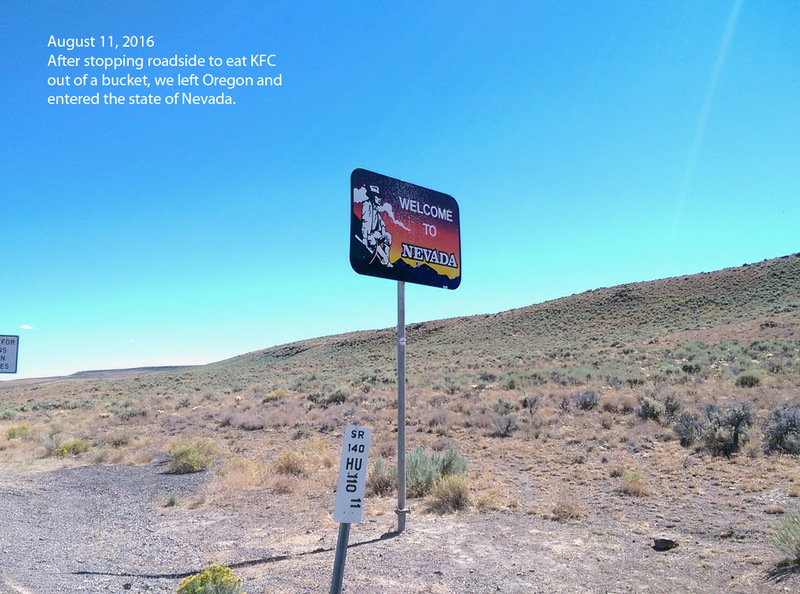 The next morning, we drove approximately 117 miles from Elko, Nevada to the Utah border. 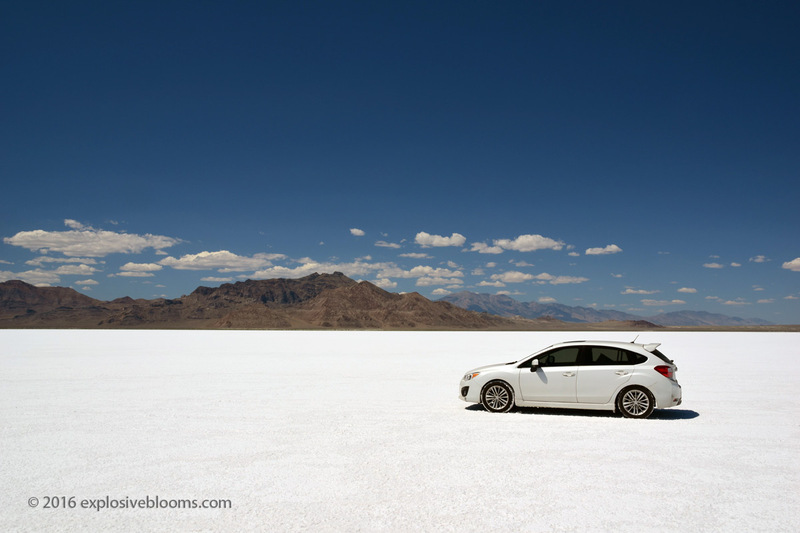 We stopped at the Bonneville Salt Flats in Salt Like City, Utah. 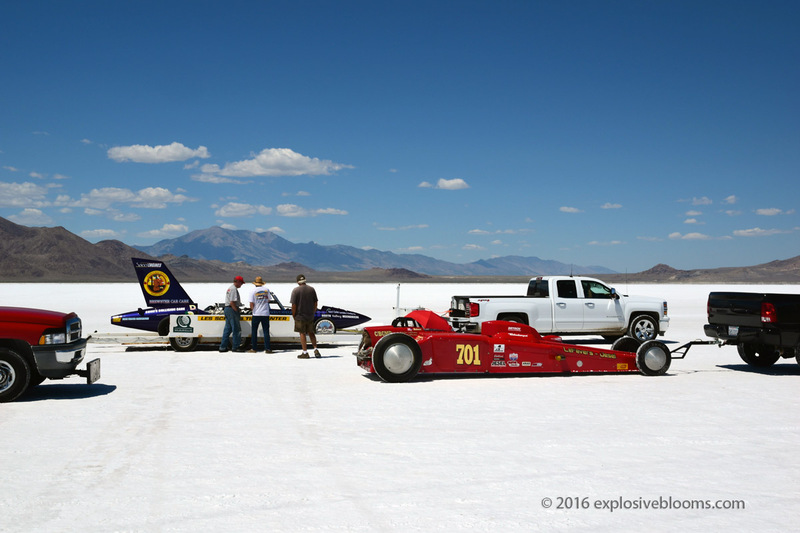 The Bonneville Speedway (part of the salt flats) is apparently where land speed records are broken. As we approached, hubs said that he didn’t want to drive on the flats, but we ended up doing it anyway. I told him that we could stop at a car wash afterwards to clean off the salt. It turned out that there was a race scheduled for the next day, which explained why we saw so many people towing fancy cars and setting up. 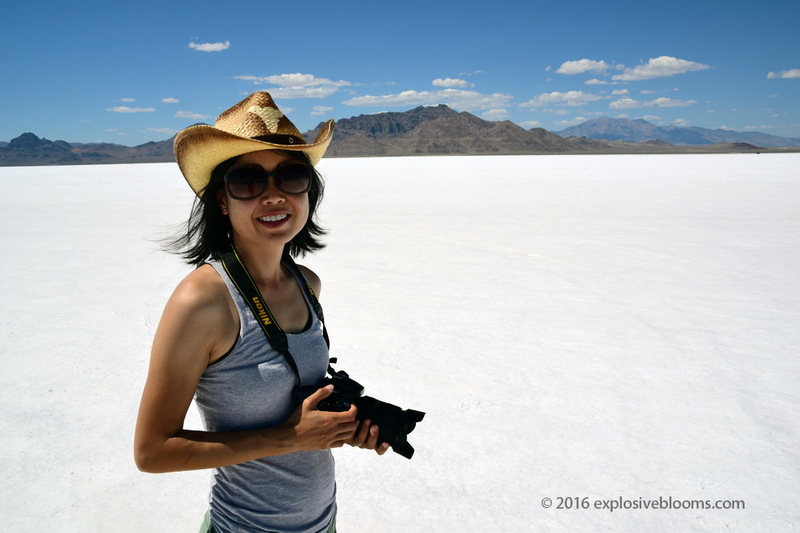 When you first see the salt flats from a distance, it looks like snow. 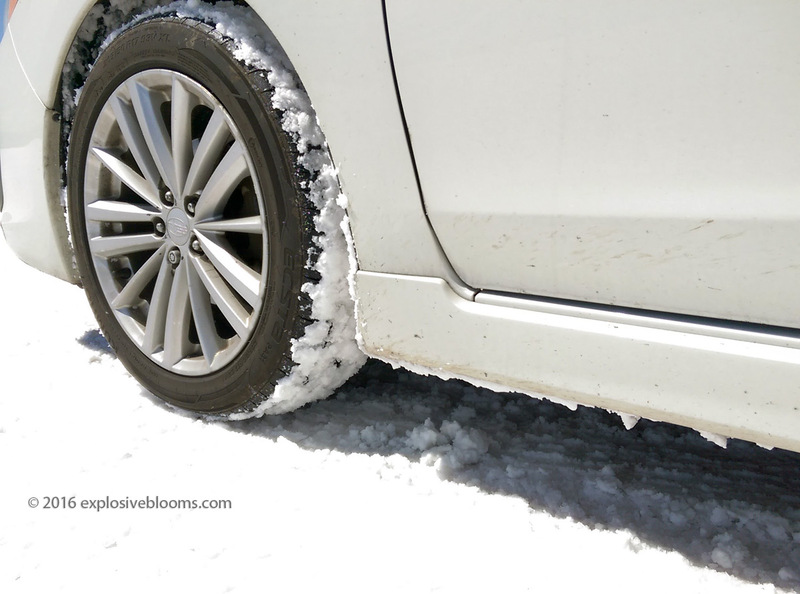 It was also wet, and clumped like wet snow. 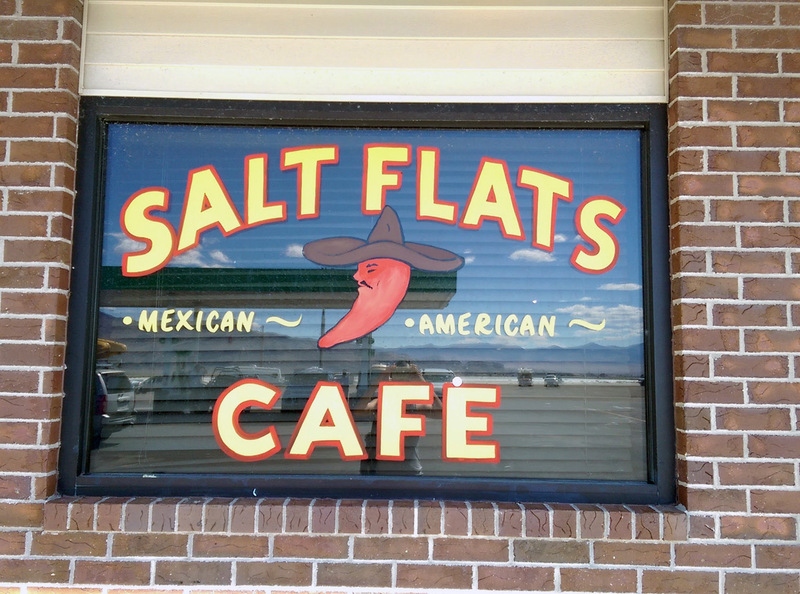 At the entrance of the Speedway, there was a Mexican restaurant which received good reviews – again, likely because there’s not a lot of food options – so we stopped in. The meal was fine when we were consuming it, but it didn’t sit that well later in the evening for either of us. 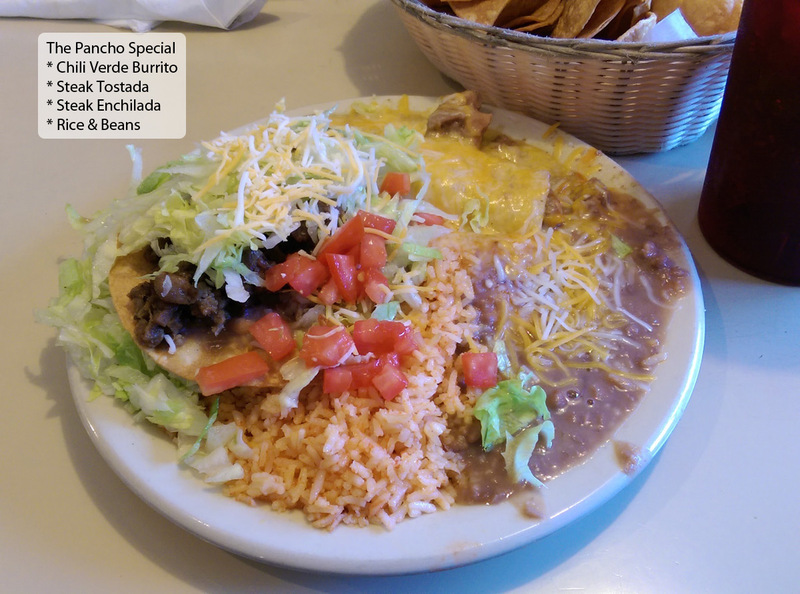 We ordered the Pancho Special, which the server told us was the most popular dish. I didn’t eat Mexican again for the remainder of the trip. After lunch, we went to see the salt lake. 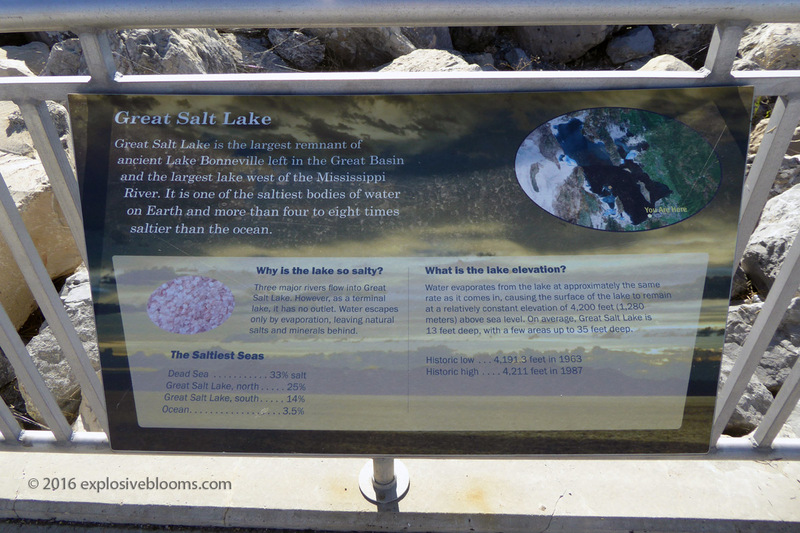 The Great Salt Lake is the largest natural lake west of the Mississippi River. 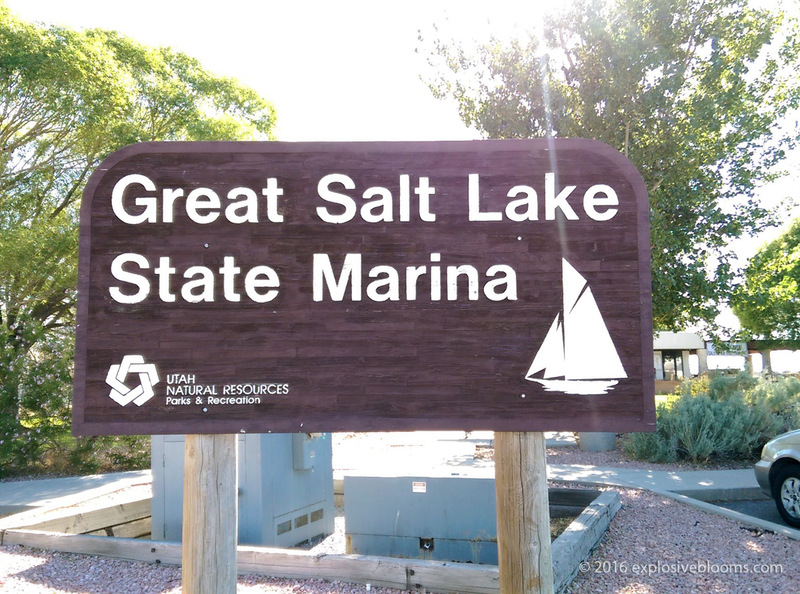 At the current level the Great Salt Lake is approximately 75 miles long and about 35 miles wide. 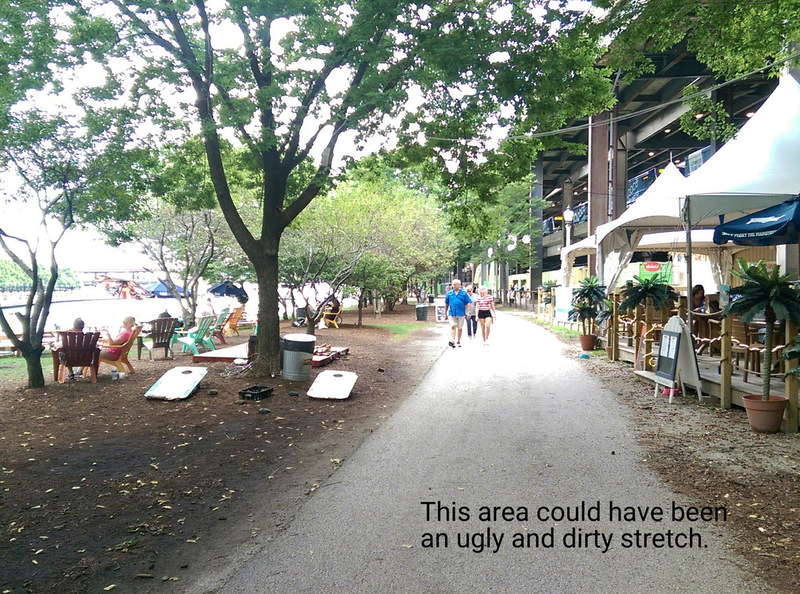 It’s also really stinky, giving off the aroma of rotting shrimp. We took a couple of pictures and left. 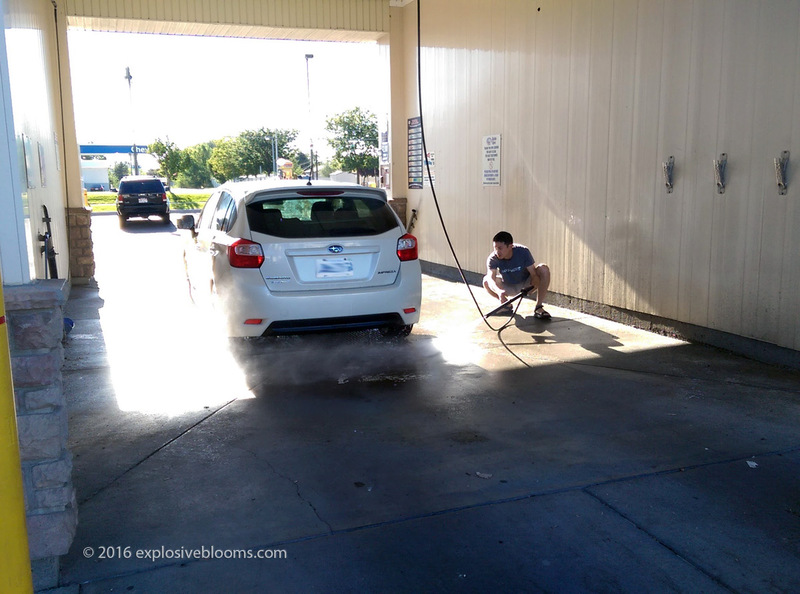 We stopped at the first self-serve car wash we saw. Hubs commented that the salt was really caked on under the car. We got back in the car, only to discover that the outside temperature sensor was off, likely due to the high pressure spray of water. Eventually it came around. We were headed to Park City, Utah. 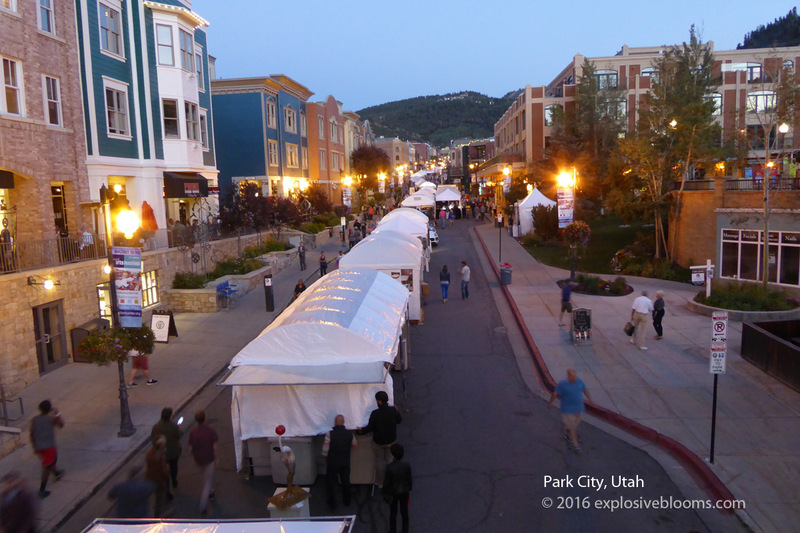 A friend of ours had recommended a visit, but when we arrived, the city was jammed up because of an art festival. We ended up parking at a local highschool and taking the free shuttle buses to the downtown core, where the art show was taking place. 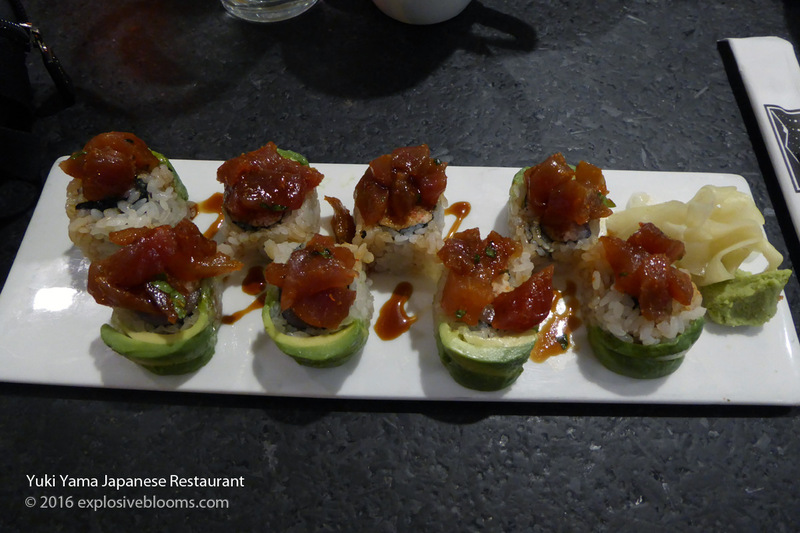 We checked out the booths and then stopped in at Yuki Yama sushi restaurant for dinner. This is about the time my stomach started to feel off. At this point, we hadn’t put the pieces together (Mexican lunch), and I thought that maybe something in the sushi roll. Feeling nauseous, the drive from Park City to Evanston, Wyoming felt really long. I forced myself to fall asleep during the ride. The next day was another long day in the car. 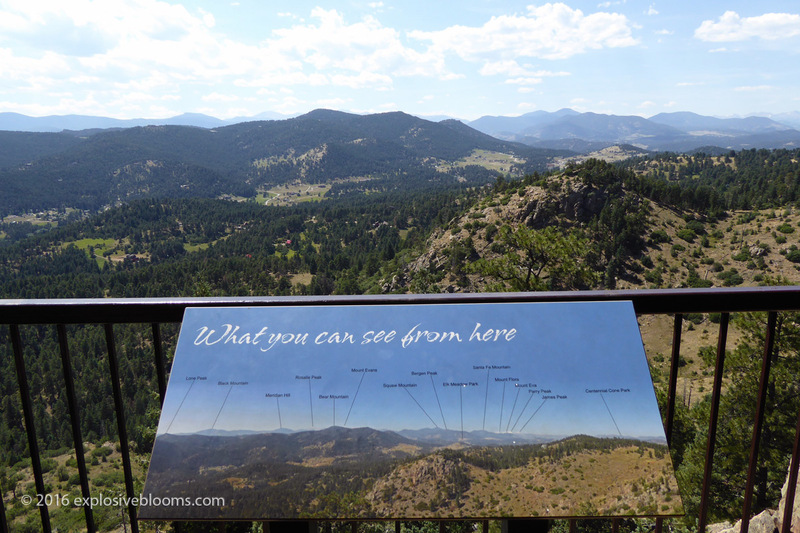 We drove 700 km from Evanston, WY to Denver, CO with no sightseeing stops. 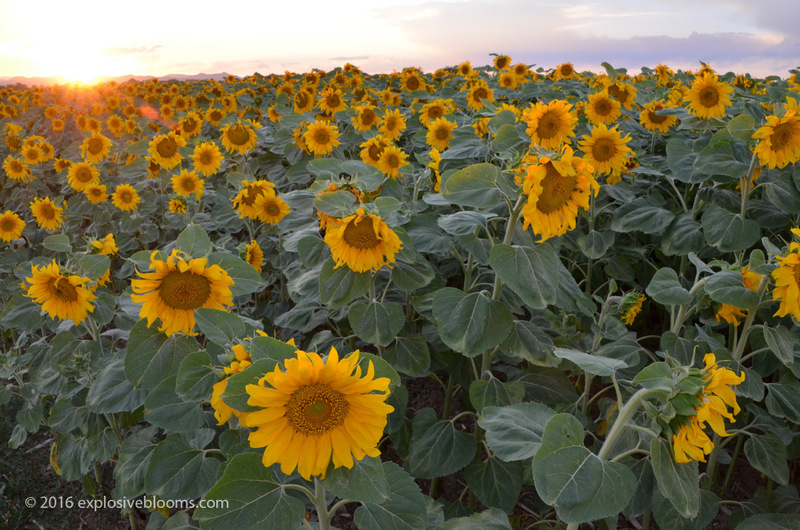 Correction, we passed a gorgeous sunflower field so hubs circled back and let me take some photos. 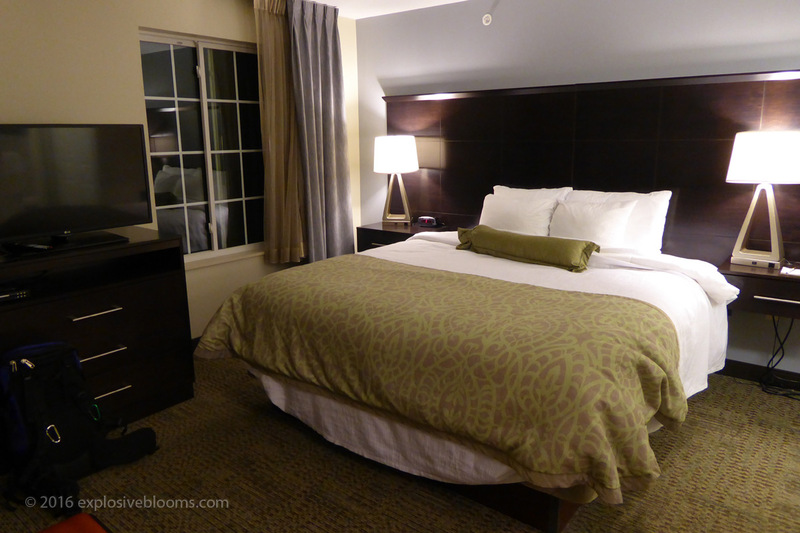 Staybridge Suites in Denver would be home for the next two nights, and it was a great suite! I loved the dry heat of Denver. We did laundry at this place, and our clothes (including jeans) would be dry within the hour of hanging them up. 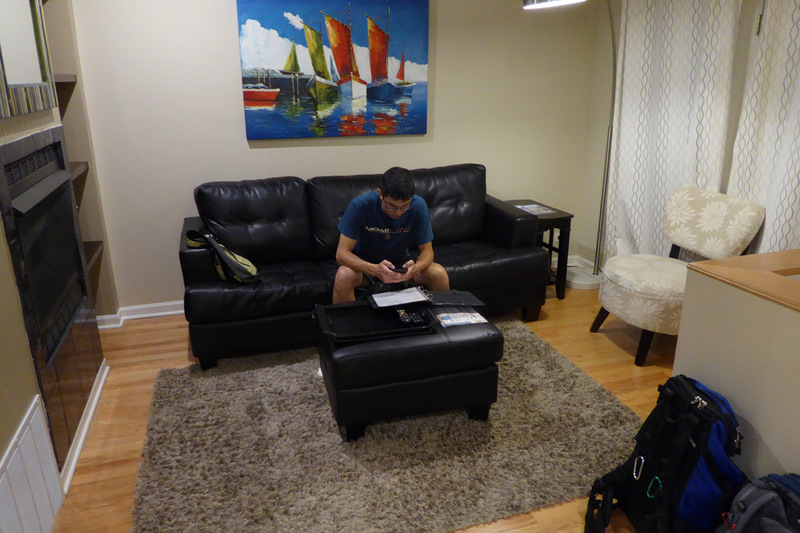 Our suite was spacious, with a kitchen, sitting area, and spacious bathroom area. After a good night’s rest, we visited the Red Rock Amphitheater, hiked in Mount Falcon Park, and walked around downtown Denver. We lucked out with the Red Rock because right after we walked in to the Amphitheater area, the park had closed off the entrance because they were setting up for a concert. There were quite a few disappointed visitors. To prolong our stay a little, we had lunch at their restaurant. 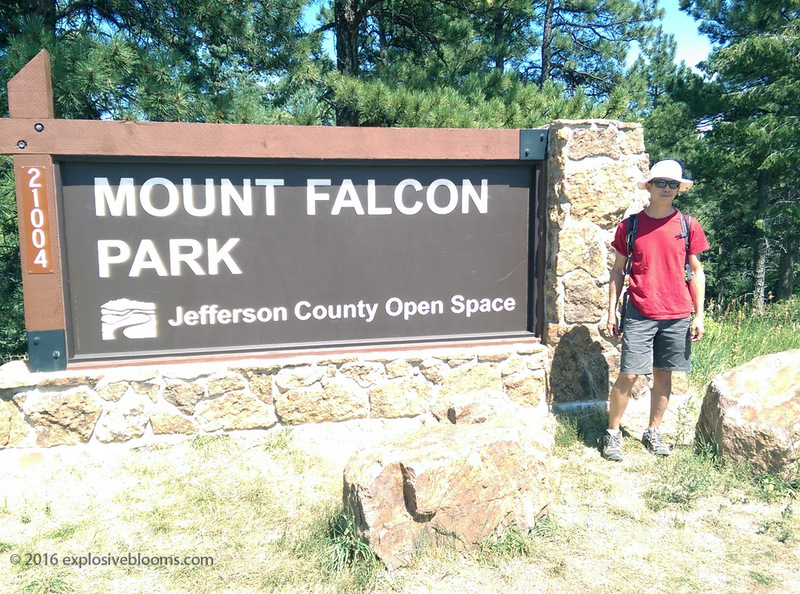 We struck up a conversation with our waitress, asking her about good hikes in this park, and she told us to go to Mount Falcon. She said that Red Rock was more for fitness, with less views. Great advice! It was really hot, so hiking at the top of Mount Falcon could have been considered a bit of a workout. 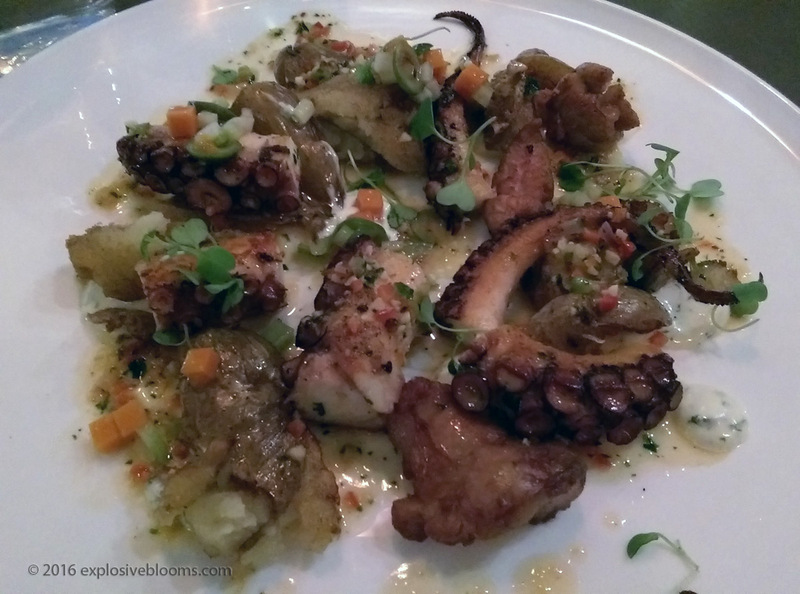 It was all very delicious, but I especially loved the octopus and the spaghetti. 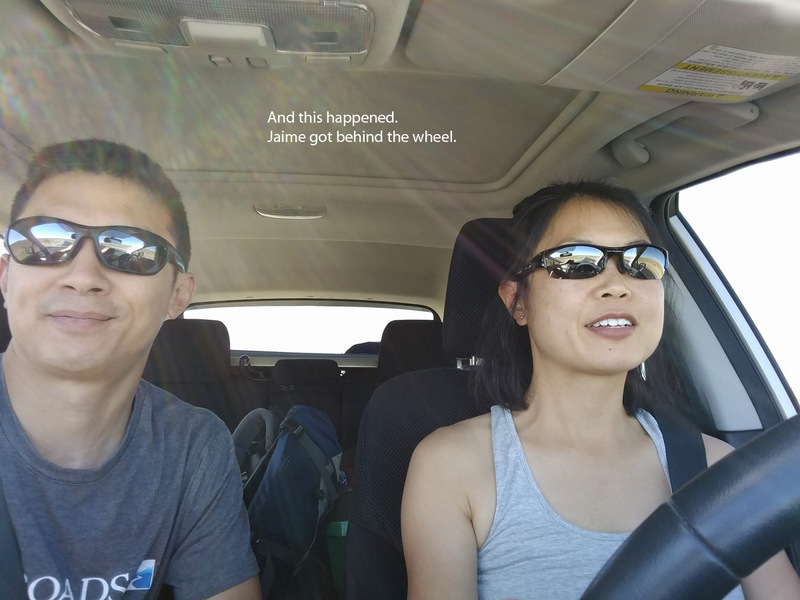 From Denver, we had another long drive to Omaha, Nebraska. 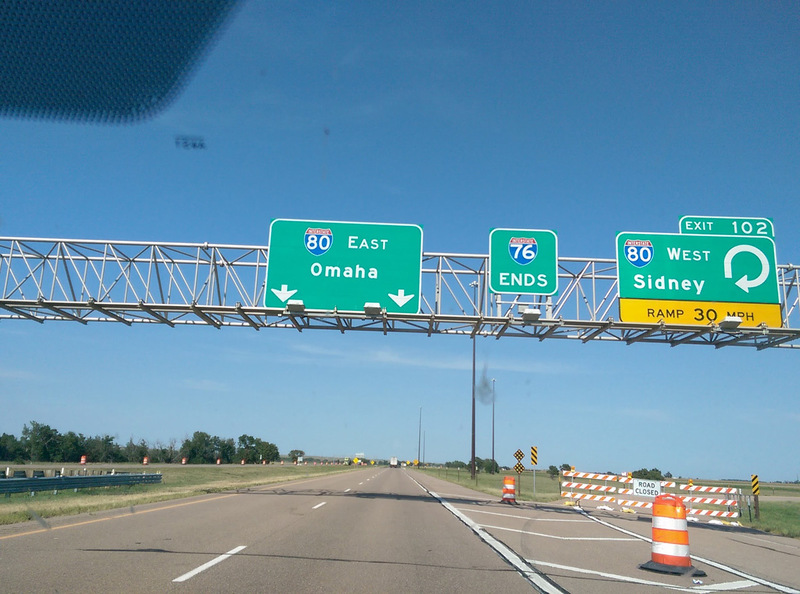 As soon as I saw the sign for Omaha, I couldn’t get the Counting Crow’s song out of my head. We spent a night in Omaha, NE before heading to Chicago, IL traveling through Des Moines, Iowa. We stopped for lunch in Des Moines, but it wasn’t anything special. In fact, it was mediocre at best. My pizza was so greasy and heavy that I was only able to eat two slices. But being on the road in America for this long already, it doesn’t surprise me. 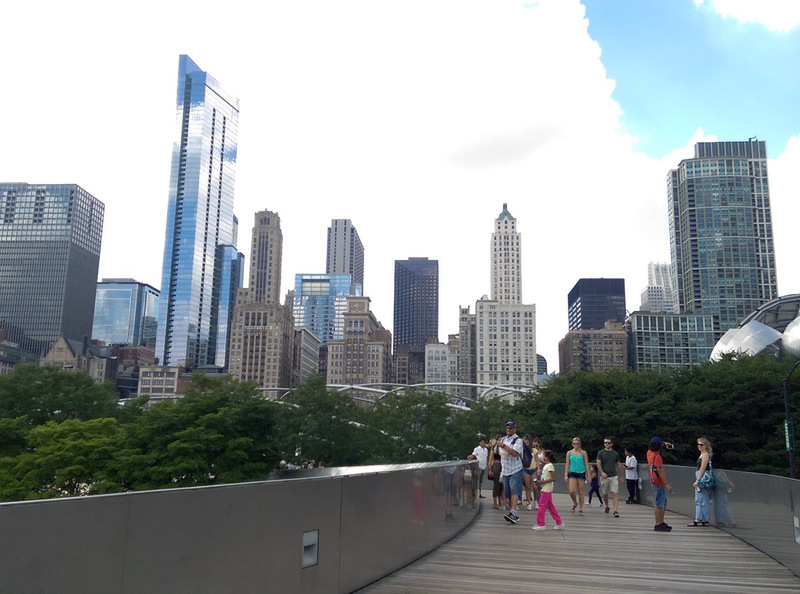 Accommodations in downtown Chicago are astronomically expensive, but the alternative is staying farther away and getting stuck in traffic and paying for parking in the downtown core (which is also expensive). Somehow hubs found a gem. 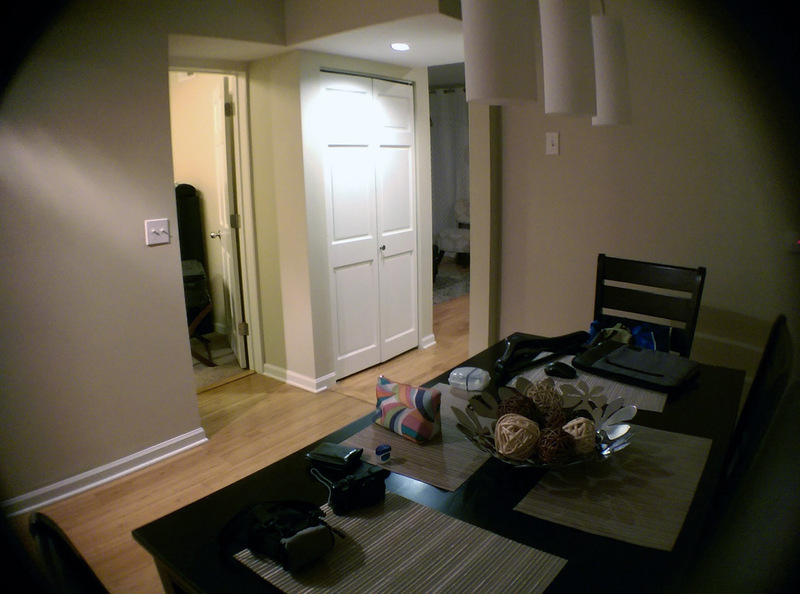 We stayed at the Roscoe Village Guesthouse in Lincoln Park. 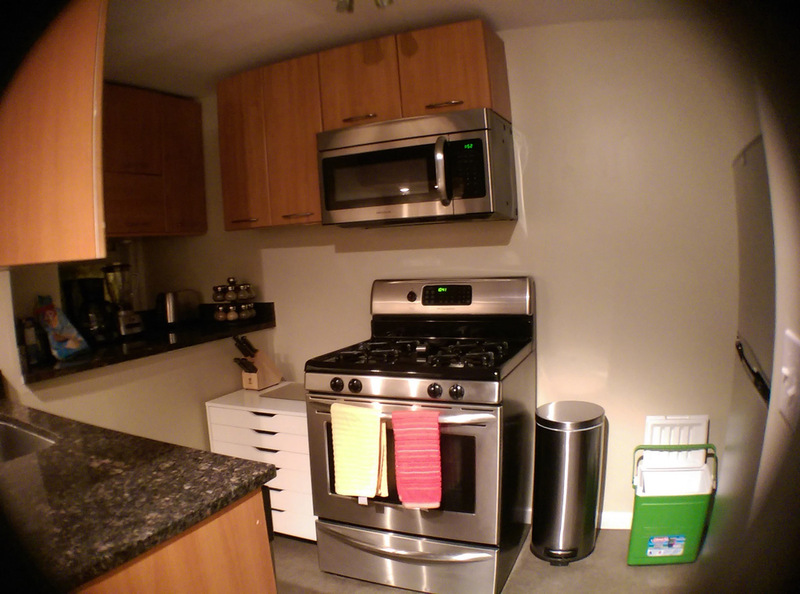 Our place was within walking distance to a Whole Foods and the train station, making travel to downtown a breeze. The only suite left was a two bedroom, so we took it, and we paid $10 for the parking spot in the garage onsite. Lincoln Park is a great area, with lots of restaurants and shops. I really enjoyed our neighbourhood. Hubs said this place was advertised on VRBO, the same site we used to book the apartment we had in Croatia. 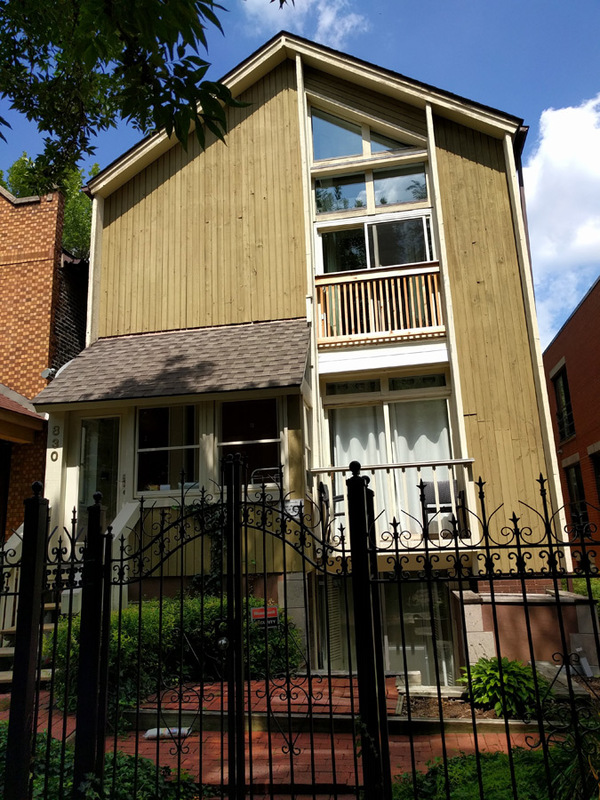 I had initially searched VRBO for Chicago, but the prices were still high. 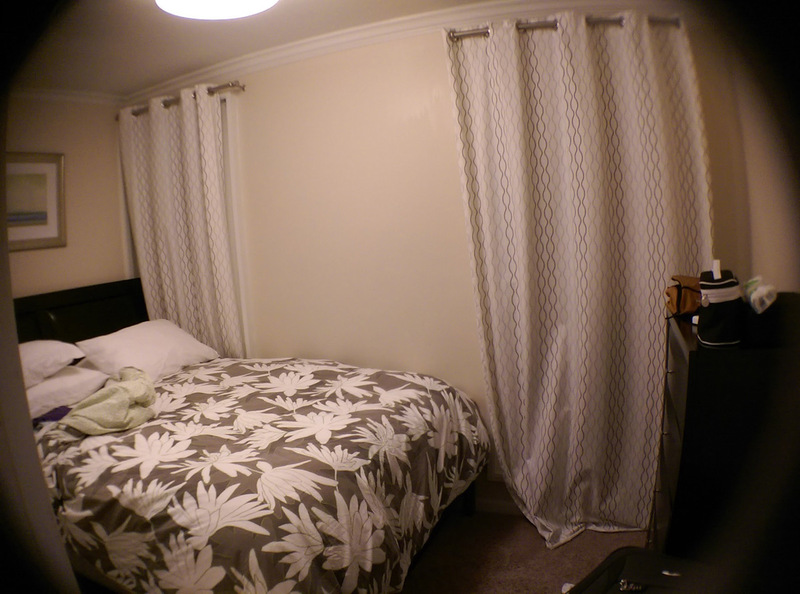 I had also checked out Air BnB, but hubs is really hesitant to use them because he doesn’t understand that it is similar to VRBO. I will say that there were numerous postings that indicated that it would be shared accommodations. I think hubs feels better about VRBO because the majority of rentals posted there are licensed vacation rentals, whereas Air BnB tend to be people’s homes. Anyway, we arrived and had no troubles with the access codes provided to open the garage and the door to our apartment. The owners had left all the lights on, and even had spa-like music playing. They created a very welcoming environment. 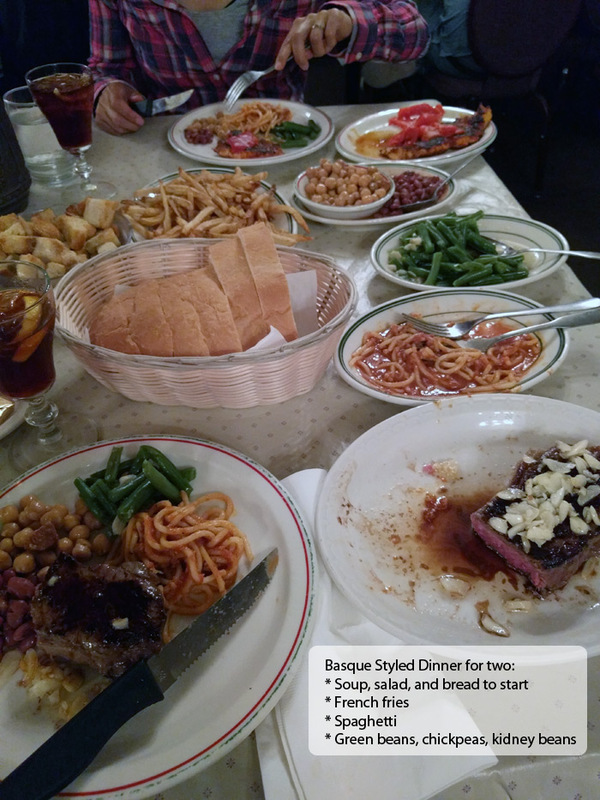 We unloaded our car and walked down the street to Sapori, an Italian restaurant. I was really looking forward to the next couple of days. 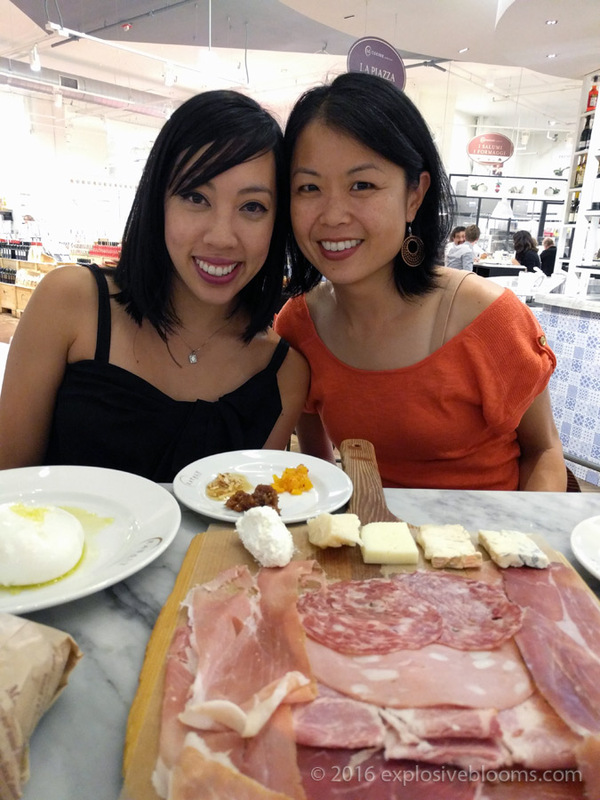 Dinner at Eataly with a great friend. Love the concept and excited for it to come to Toronto! 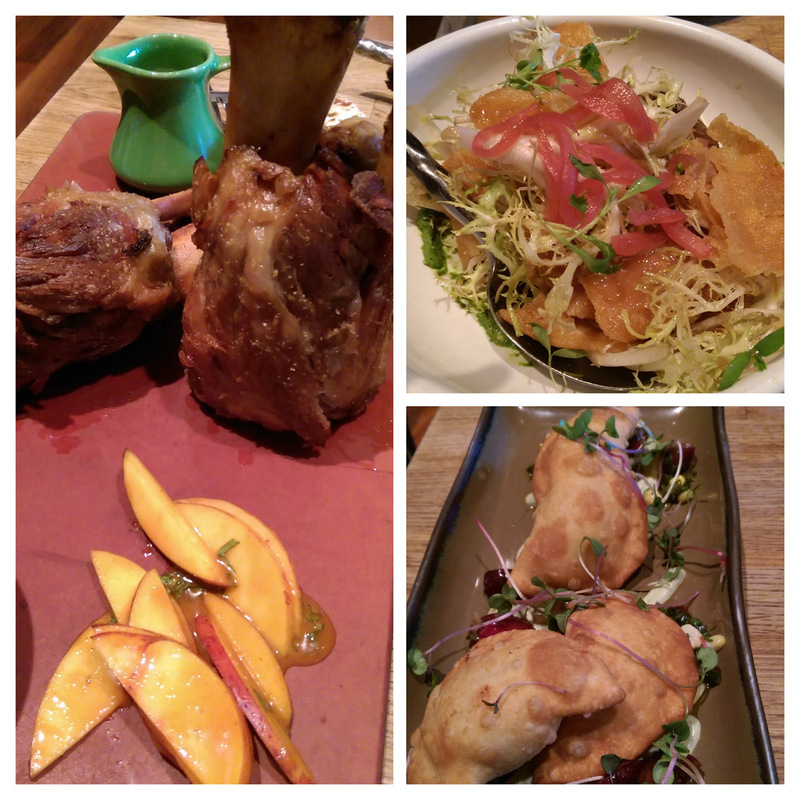 We had tried to get into the Purple Pig with our friend, but there was an hour waitlist. 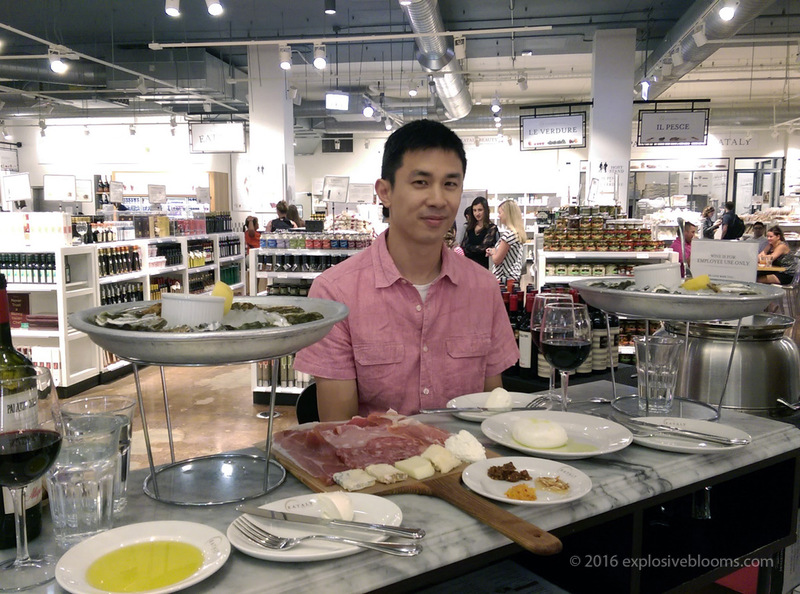 The place gets good reviews, but I’m glad we ended up at Eataly. Hubs and I ended up stopping by the Purple Pig the next day for lunch and managed to snag seats. The reason I’m glad we had dinner at Eataly is because Purple Pig is small inside, and really loud. Since hubs and I didn’t have reservations, we ended up sitting at a tall shared table, so there is virtually no space or privacy. They don’t even provide hooks under the table or chairs to store personal items. 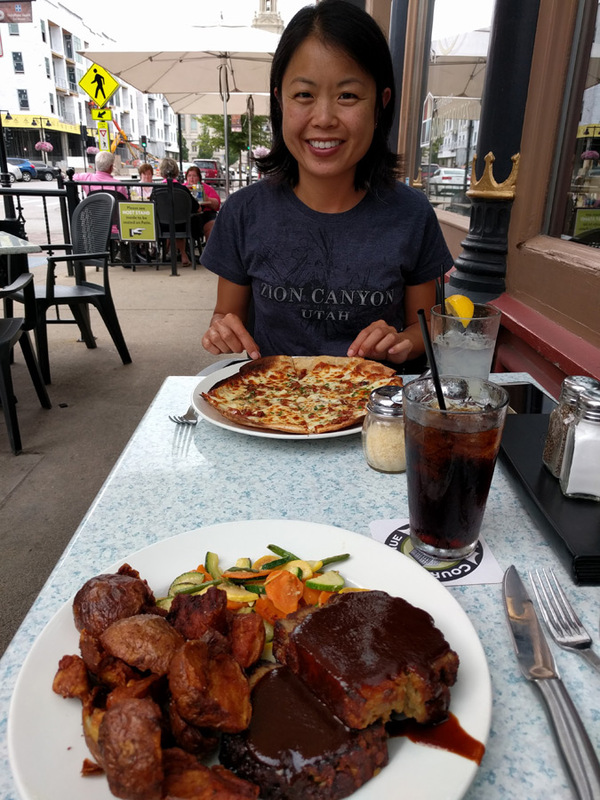 And the food was overpriced and only ok.
After lunch we headed for the Field Museum, which came highly recommended by our waiter at The Gage. I was also interested because I follow Emily Graslie from The Brain Scoop, and this museum is her home base. All I can say is that you should plan to spend an entire day, at minimum, here especially if you are interested in life sciences. 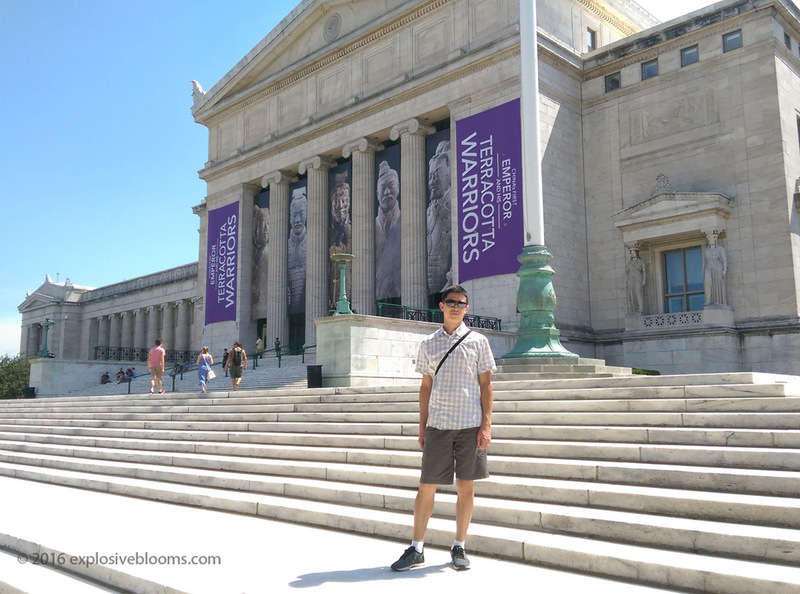 I am definitely going back the next time I’m in Chicago because I didn’t even get through a quarter of the place before it closed! 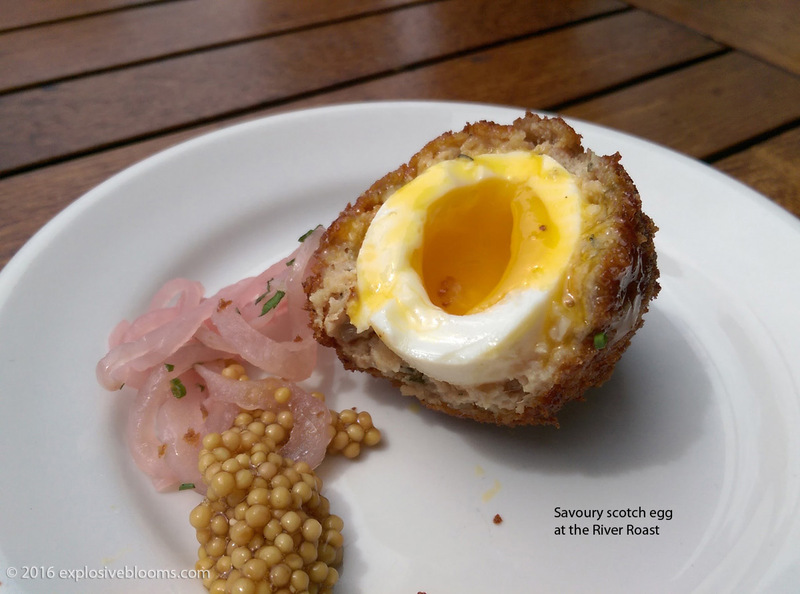 We had tickets for the Twilight Architectural River Cruise, but we needed to have dinner first. 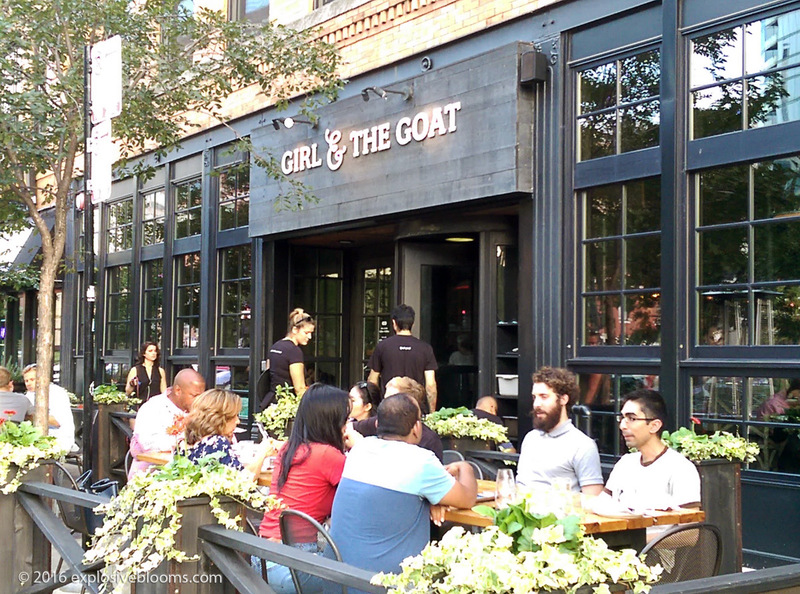 One place I really wanted to try, but just couldn’t get a reservation for even 4 weeks in advance, was at The Girl and the Goat. Hubs suggested we just go and see what happens, as they must save some seats for walk-ins, and it was still early. He was right, and we were seated immediately. Loved the food! I highly recommend a meal here. We made it to the the spot along the riverwalk to catch our boat in plenty of time. The cruise was so good. Our guide was knowledgeable and interested in the subject, which made the cruise very interesting. It’s most definitely worth checking out. 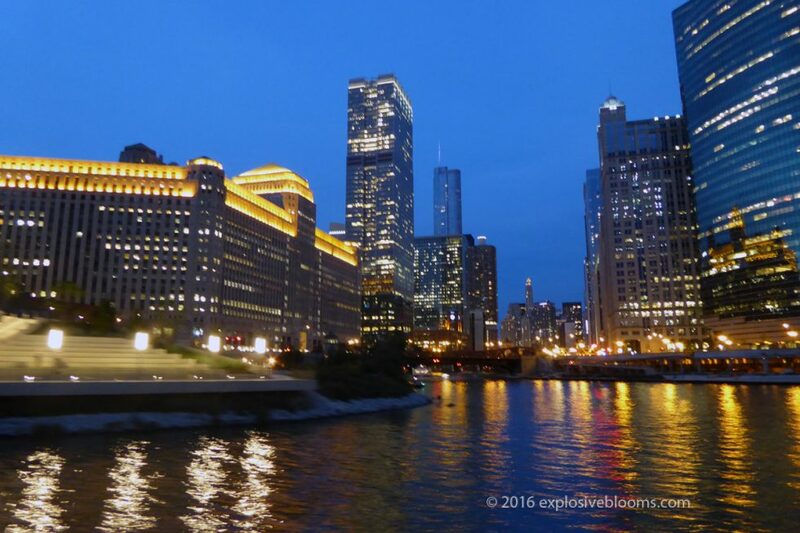 The twilight cruise costs a little more, but when we were in Chicago, they were experiencing a heat wave and the temperatures soared into the 40s with the humidity. It was also very sunny, so the idea of sitting on the roof of a boat in full sun was completely unappealing to me. This video is for audio only. I managed to record a portion of our guide’s commentary, simply because I thought he was a great speaker. There is no visual in this video. 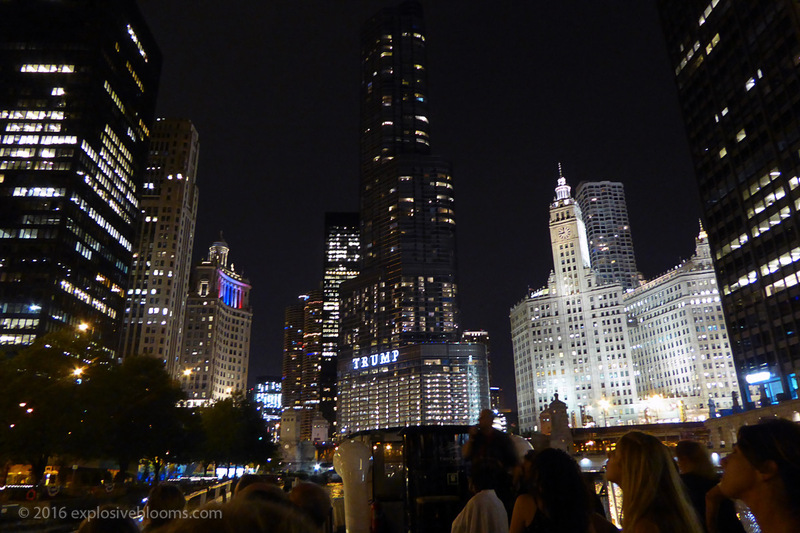 And when the night started to fall and the buildings lit up, it made for a beautiful way to view Chicago. Lunch the next day was at the River Roast, which is also along the water. We sat on the patio and were treated with views of boats, kayaks, and fighter jets creating deafening sounds as they flew overhead. It was part of the airshow. We decided to use the city’s shared bikes, Divvy, to get around in the afternoon. 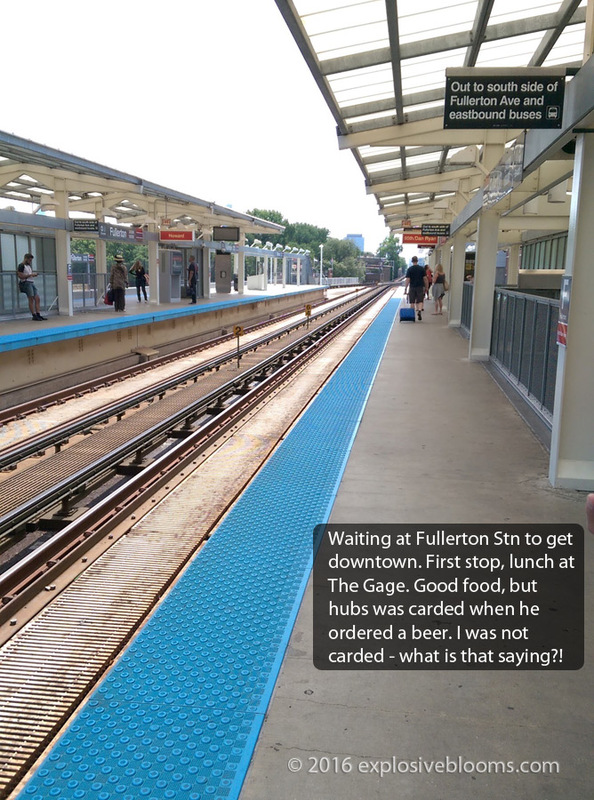 Chicago is a big city, but surprisingly it’s not scary to navigate by bike. The bikes are big and heavy, but without a helmet, I wasn’t about to start racing down the streets anyway. 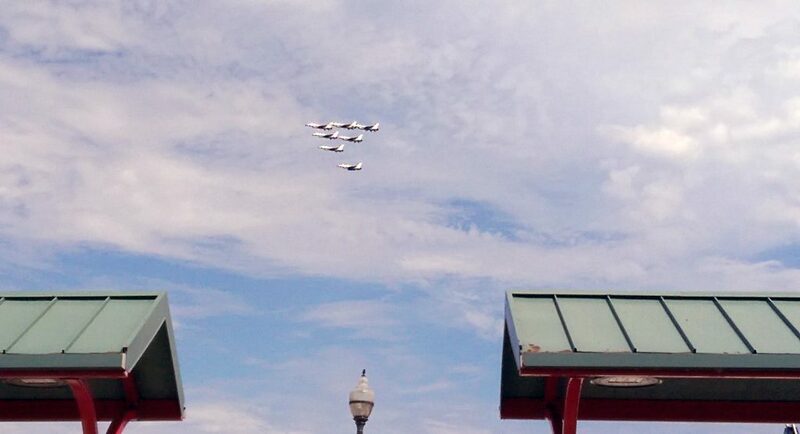 During the river cruise, we were introduced to Navy Pier, so we decided to ride to that location, where we ended up spending some time watching the the jets fly overhead. 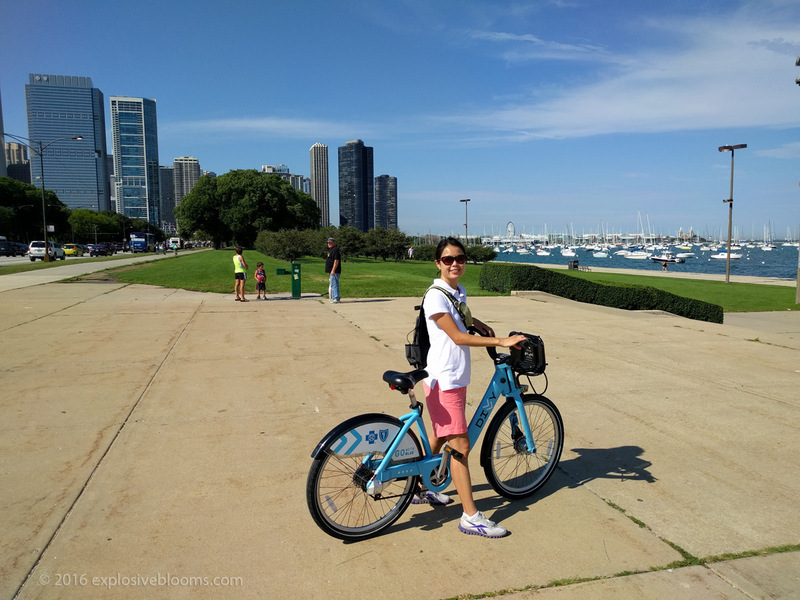 Our Divvy pass allowed us to pick up another bike and we rode to Millennium Park. 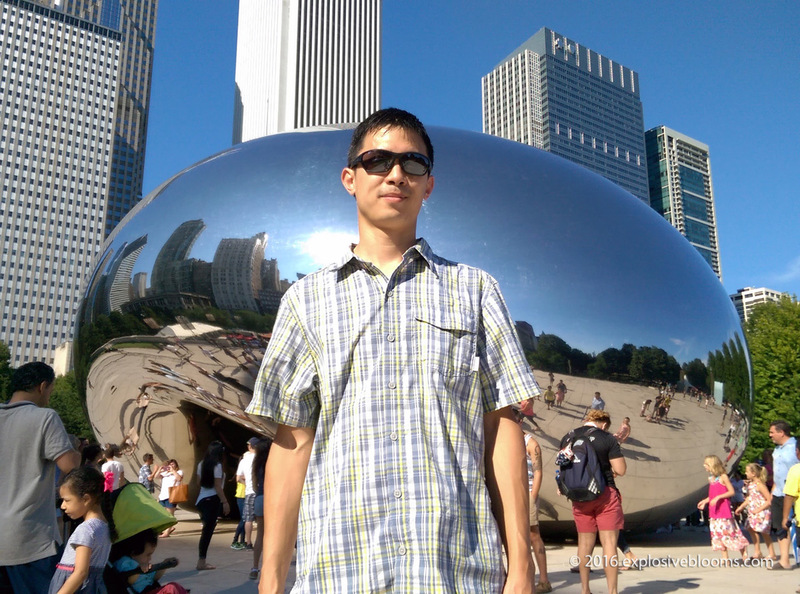 We had walked through the day before, but apparently missed Cloud Gate (affectionately named The Bean) and our friend was telling us we had to go check it out. We were hoping to meet up with our friend again, but she was in the middle of packing and moving. I was in the mood for some seafood, so while we were cooling off in a mall, we decided to check out Shaw’s Crab House. We ordered oysters and Alaskan King Crab legs. 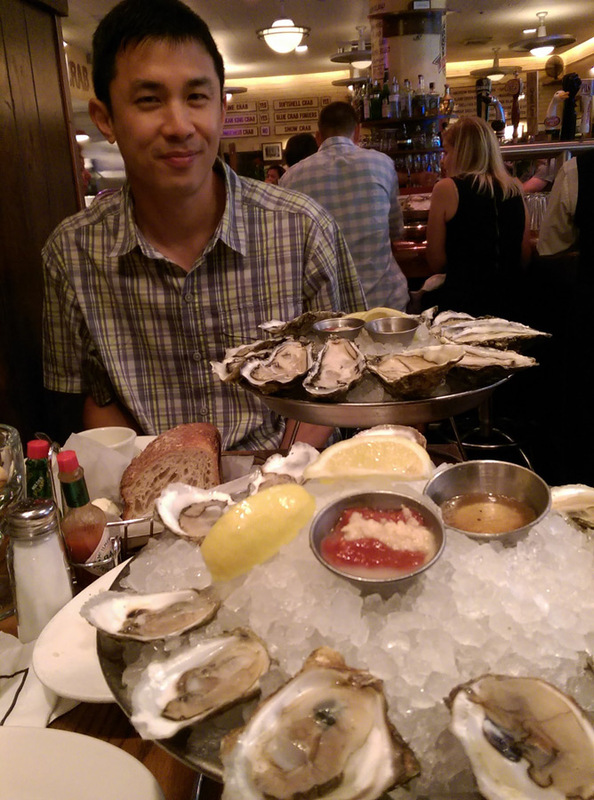 The small oysters were sweet and tasty, but I couldn’t stomach more than one or two of the big oysters. The texture was just too much for me to handle. This was our last night in Chicago, so we took a stroll along Magnificent Mile (Michigan Avenue) one last time before heading back to our apartment. It was sad packing up and loading the car, but it was time to head home. 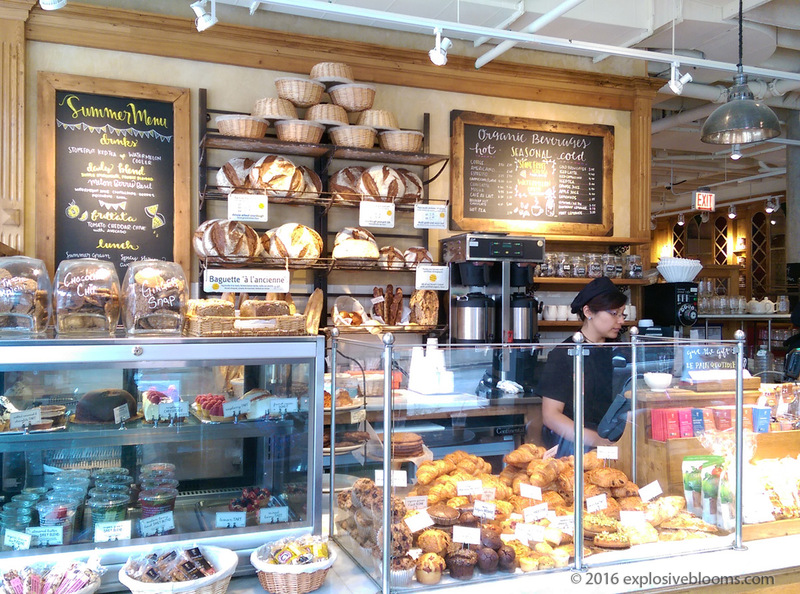 The drive would be long, so we wanted to get going, so brunch was local in the Lincoln Park neighbourhood at Le Pain Quotidien, a sweet little bakery. They have inspired me to spread avocado on my toast when I get back home. They also make the lightest apple turnover – it’s a flaky piece of heaven, and a nice way to end a meal (or start your day with). We arrived home just before midnight on August 20th.